Does this ever happen to you when you’re viewing a Facebook page? An online entrepreneur posts something on a Facebook group that captures your attention. You click on their profile looking for their Facebook business page to find out more about them and their business. Once on their profile page, you click on the “About” tab, NADA, not even a website address. Sometimes you see the last place that they worked as their current 9-5 job. Other times you see their high school, completely unrelated to what they say their business is about in the Facebook group. Their About page on Facebook looks like this. If you were lost in the wilderness would you do everything in your power to leave clues and make it easy to find you, or would you sit somewhere and just assume that people will find you? The same is true if you are building a business online. You can’t sit and wait for people to discover you. This is just one of the common mistakes entrepreneurs make on their Facebook page. 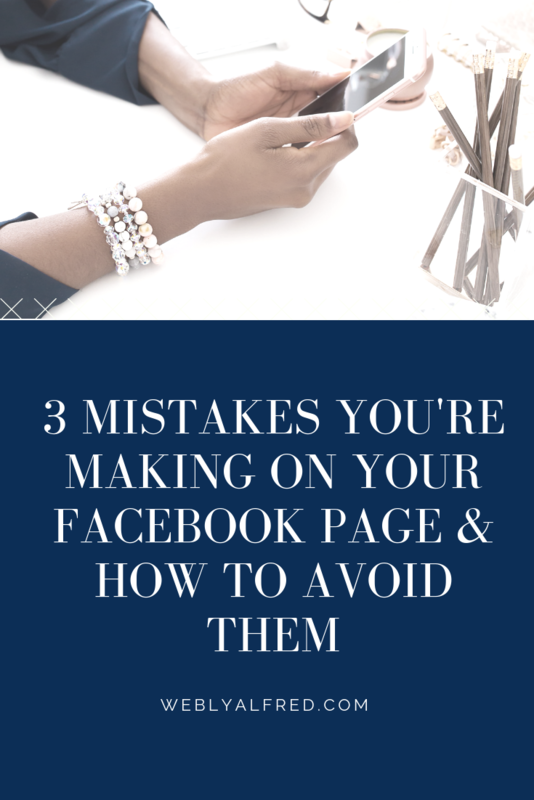 Today I’m sharing with you 3 mistakes that you’re making on your Facebook page and how to avoid them. 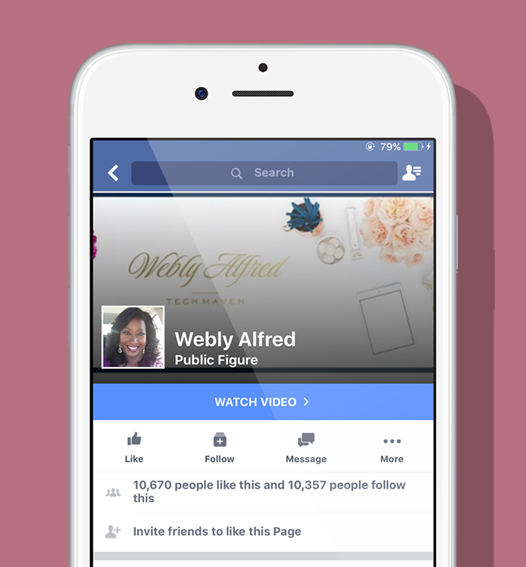 If you decide to have an online business, you can’t have everything on your profile private on your Facebook page. Don’t assume that people will know where to find you. Make yourself visible and guide them to where to find you. Where do I need to be so that people can find me online? How can I make it easier for them to get in touch with me and continue that relationship? 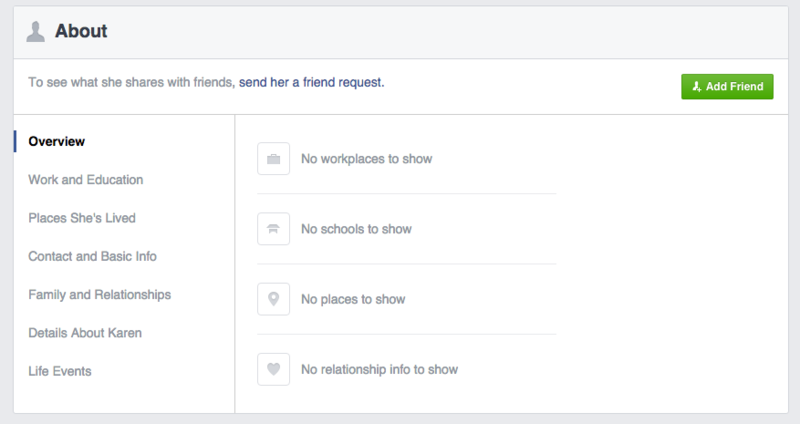 Your personal Facebook profile doesn’t have to be public, but you have the option to make part of your personal profile public. Link your profile to your business page, add your business website address and make them both public. Your page is plastered with before and after pictures. Pictures of people, pictures of the products that you’re selling or you’re only posting links to your sales page where they will find more stuff to buy. People don’t buy from someone they don’t trust. If the only thing they see on your page on their feed is a post asking them to buy all the time, they will unfollow or unlike your page immediately. Use your page to build relationships and establish your reputation. Share content on your page that inspires people, content that helps them solve a problem in their business for free.Click To Tweet Share content that puts a smile on their face. 80% of your content should be about people visiting your page, how you want them to feel and the value you are providing. 20% should be about your product meaning only 2 of your daily posts. You paid thousands to a web designer who put together a world-class website with perfect branding and glamour-shots images with an opt-in that looks like a million bucks but doesn’t convert. That’s because the only place you opt-in can be found is on your website. 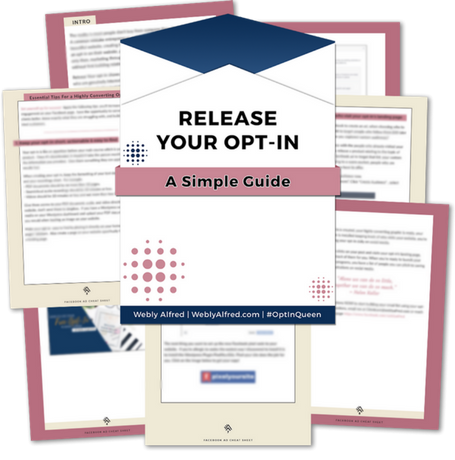 Now go out there, make yourself easy to find, don’t be too salesy and start giving people free content on your Facebook page to start building your list. Great tips, and I’m glad to say I’m covered. But, yes it is frustrating when you go to someones Facebook page and you can’t get to their website! I am with you Lisa. I got so tired of running into it, I had to blog about it. Thanks, Webly, I especially enjoyed the info about using your opt-in on your Facebook page. I am happy it was useful to you Carol. OMG! YESSS, I wrote a blog on this same thing last year I think. It kills me that biz owners don’t make it easy for their friends to find their biz page! SMH! Excellent tips! I am with you Kristen. I’ve walked away from so many pages because I felt like I was doing back flips just to find them. It is always interesting to me how people aren’t optimizing their Facebook page(s) and because of this, they make it challenging to find them and connect with them. Salesy pages are such a turn off for me too and there is a delicate balance of sharing information and continuing to sell, sell, sell. Thanks for the tips, Webly. I feel like I am on track and making myself accessible and easy to find! The reason I always hear people make themselves private on Facebook is because it is a profile they want friends and family only to see. If your page is not the same name as your personal profile, I’m afraid you have to give up the notion of privacy on a public online platform. Good to hear you’re well on your way Beverly. BTW I love your new website. Taking action Roslyn is everything. I can’t wait to see what the holiday brings your way in terms of sales. Your jewelries are magnificent. Can you share more of what the benefit might be to connecting my personal FB page with business? Right now that doesn’t seem like something I would want to do. I post funny things my kids or dog do, date night pics with my husband. . .family photos etc. I’ve kept my business page professional . . . thoughts on why I might want to consider making a change? Thank you for this great question Brenda. When you are commenting on other Facebook Business pages, you are commenting as your personal profile. Sometimes we comment about our services or let someone know that they can book an appointment with you. If someone is not your friend on Facebook they don’t know that you have a business. The first thing people usually do is check your personal profile. If your personal profile is linked to your business page they can simply click on the link. No need to be friends with you on Facebook to ask you “where can I find your Facebook page or website? Second thing they do is to click on your about tab. If you don’t have your business listed anywhere they cannot find your business. You can adjust your personal profile to make everything visible to your friends and family and only make that part, where you work, public. They can see the link but not what you are posting on your personal profile.